Deposit of £100 secures your holiday and you will need to pay the balance six weeks before your holiday commences (unless late booking) An additional refundable deposit of £100 is also required when your holiday balance is due to cover any losses, breakages to contents and damage to the caravan, returnable following the holiday, provided there has been no damage or loss. 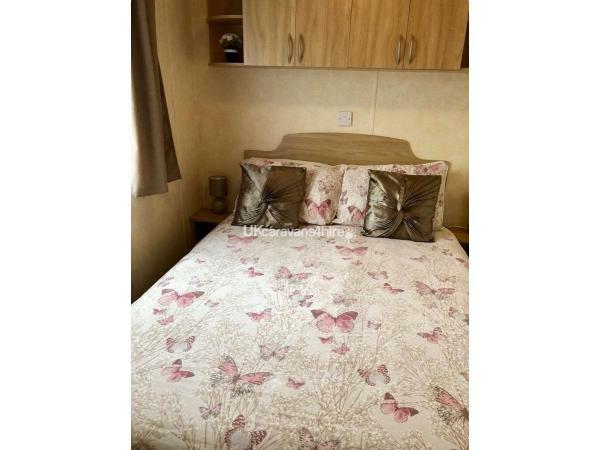 Our 8 berth deluxe home offers spacious accommodation which benefits from being fully central heated and double glazed. It has its own parking space and is a short walk to all the amenities and entertainment. Our holiday home is Strictly no smoking and no pets. The lounge contains a 40" Sony TV with USB ports and a Sony Blue-ray DVD player. Complimentary DVD's for all ages are there for your use. 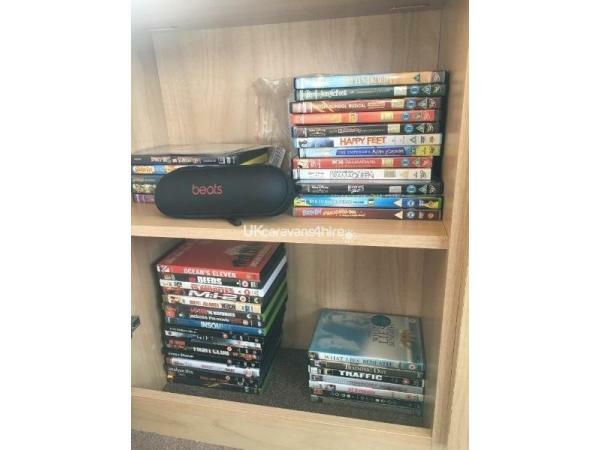 A Beats Bluetooth speaker also provided for your entertainment. 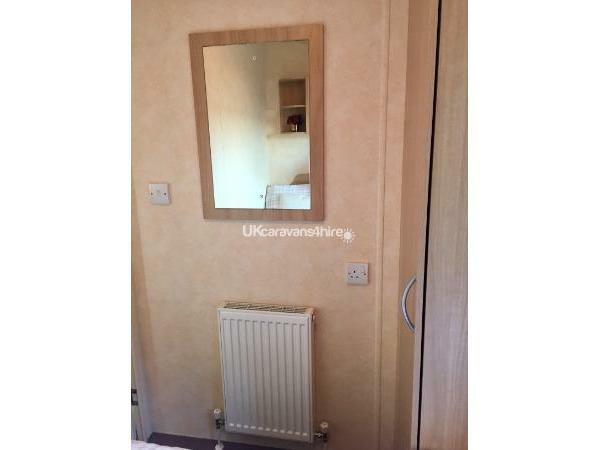 It has comfy sofas, a coffee table, a gas fire, a mirror and storage cupboards. 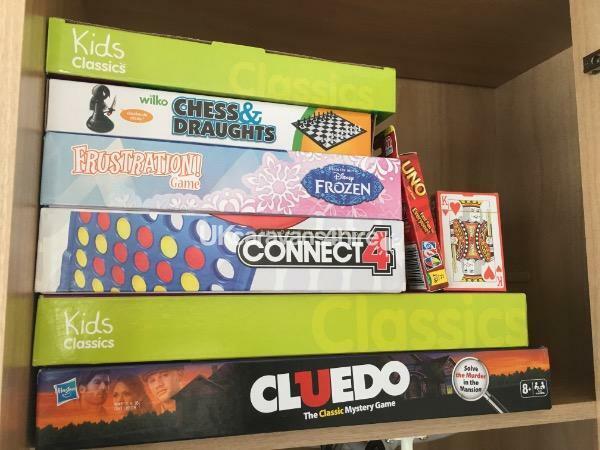 A few games and children's books will be left at the caravan for you to use for those unexpected rainy days. The kitchen comes fully equipped with a kettle, fridge with freezer compartment, microwave, hob, toaster, and gas cooker. There is ample work surface and loads of cupboard storage containing all your kitchen utensils you will need. Provided for you will be tea, coffee, and sugar so from the moment you step inside you can start your holiday. Linen is provided within the price, and on your arrival all beds will be made ready for you. 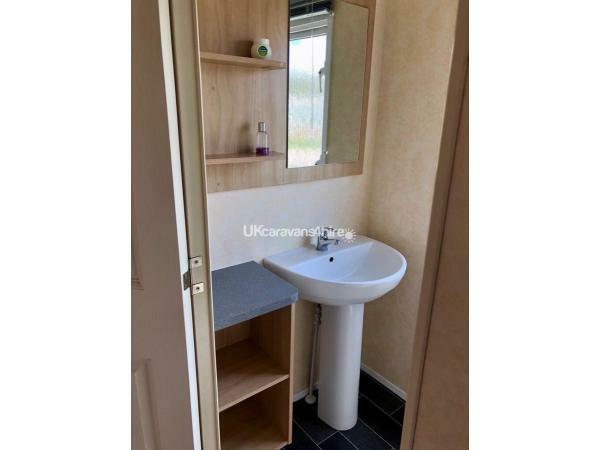 There is one double bedroom and a further 2 bedrooms each containing 2 single beds. In the lounge there is also a double pull out bed. 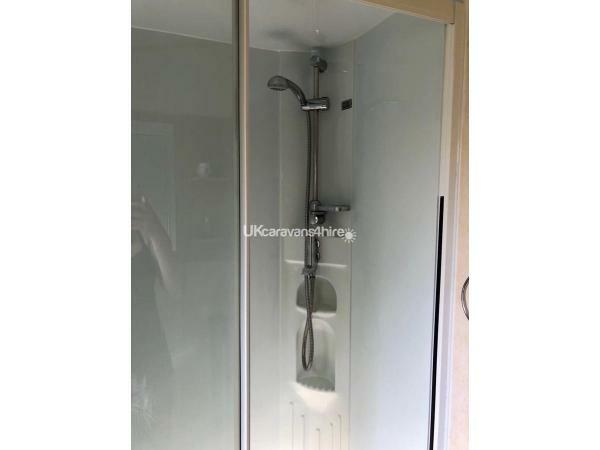 The shower room has a good sized shower with a mirror and storage, plus there is a separate toilet and hand basin with a cupboard and mirror. Outside for you is a table, 6 chairs and a parasol for al fresco dining. A BBQ is also there for your use. A couple of children bikes and scooters are available for your use. To save on your packing, a hairdryer, iron and ironing board, highchair and 1 child's bed guard are all supplied, as well as washing up liquid, tea towels and cleaning cloths. There is a lot for families to do on site for all ages (Fun Works Passes are required for many of the sites facilities, under 4s are free). Haven offer activities and entertainment daily, so there is plenty to entertain you and your family throughout your holiday. These are purchased direct from Haven Reception either in advance or when you arrive. We are able to take payments weekly or monthly to help ease the cost, as long as the holiday is paid in full 6 weeks before your arrival. 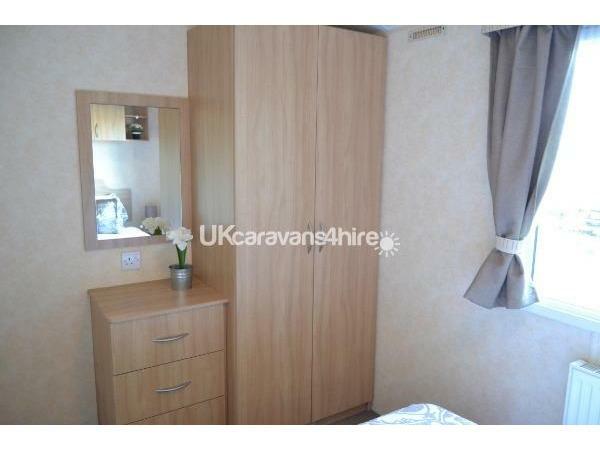 Excellent Caravan, clean and tidy with extras for the kids. Good quiet location on park. Very easy to book and good service from owners. Will definately use again when possible. This is the 3rd time staying at this caravan and as usual the caravan was pristine clean and very well equipped. The added extras just add to the enjoyment of the holiday and my boys were extremely pleased to see the new edition of the swings and bikes etc. The park has lots to do and provides lots of entertainment.. certainly enough to keep my two young boys happy and entertained! Thank you again Paul and Keeley for a lovely stay! We will certainly be back again! 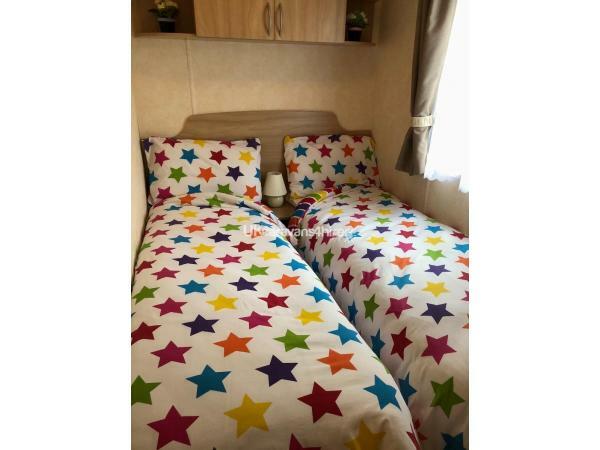 Stayed here for a week with 2 small children aged 4 and 19 months, the caravan was immaculate modern and had all the essentials needed to get your holiday started straight away, the caravan is in a great location and only a short walk to the wide array of activities on offer. We loved the little extras that were provided such as the outside table and chairs, Bluetooth speaker, dvds, kids games, swing, bikes, scooter, skateboard etc. The booking experience was really easy and communication with Paul was excellent as he quickly responded to any queries that we had. Overall all of us really enjoyed our stay and will be returning in the near future in the same caravan. Stayed as a young family with two 9 year old girls and toddler, also grandparents! Had a really lovely stay! The girls were very pleased to see the bikes, books & toys! 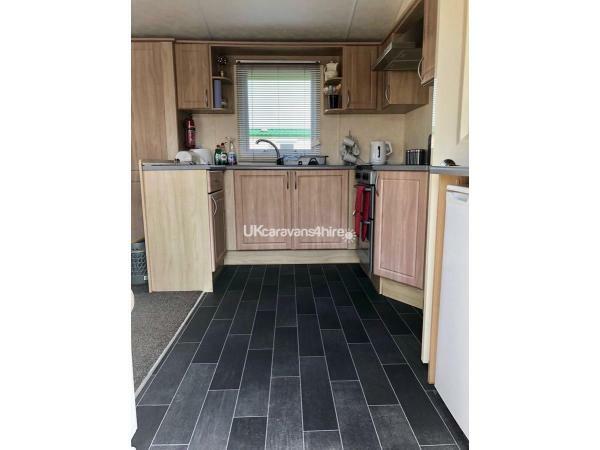 The caravan was spotless on arrival, really lovely to stay in, not too far from the entertainments and nice and quiet area at night. Paul & Keeley were great for communication and very helpful from booking and after we stayed. We will be booking again for our next stay im sure. Thanks again. Jade, Dean and Family. 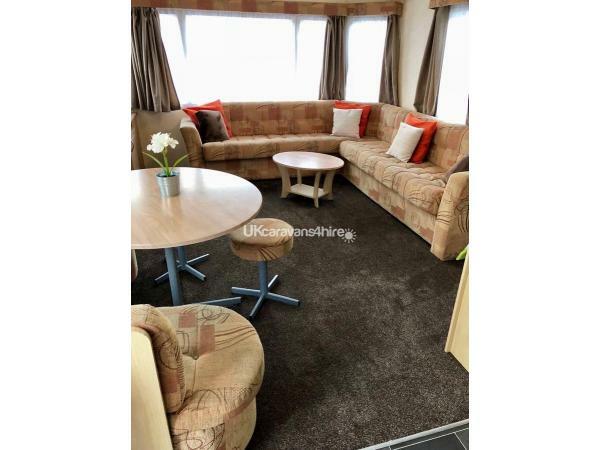 Caravan was spotlessly clean on arrival and very well equipped. Paul and keeley were very helpful and informative. Having 2 younger boys the games and dvds were extreamly handy and made the stay even more enjoyable. The facilities in the park and surrounding area were brilliant and the boys loved the beach! Will definitely use this caravan again. Thank you paul and keeley! We stayed at the caravan During the school holidays and had a fabulous time. Our son and his friend 12 and 13 and our daughter 6 along with myself and husband could not have asked for more. Any queries we had was answered straight away from paul. 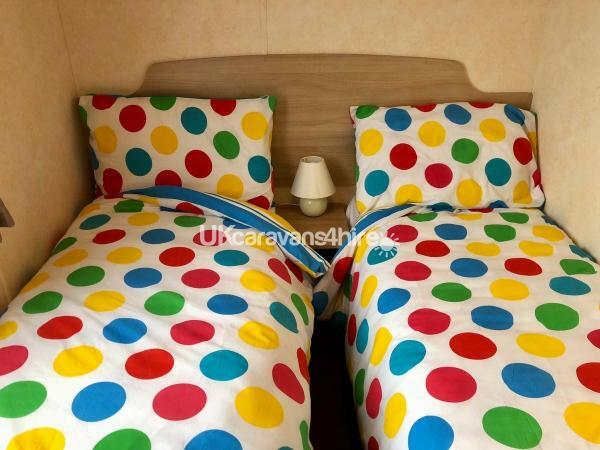 The facilities were fantastic in the caravan and the site We enjoyed Most of the activities that was offered on site. When we got back in the evening we watched a film or played a game that keeley and Paul supply. I have already queried a date next year and wouldnt hesitate to use keeley and Paul's van again. It's a 5 minute walk from the main entertainment which is a nice little walk and your not on top of everything so you get time out when you want it. Thankyou so much claire , wayne and family.